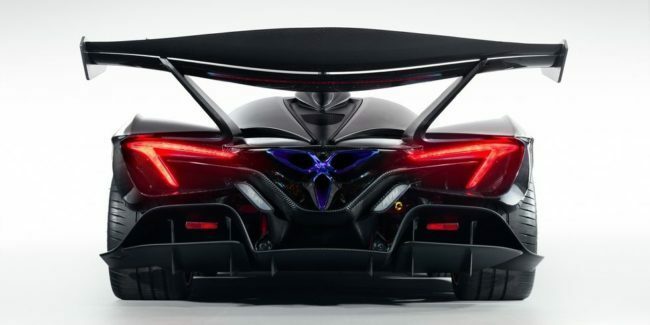 It was only a few weeks ago we got our first look at the new, wildly styled Apollo IE hypercar. Covered in carbon fiber and equipped with a 6.3-liter 780-horsepower Ferrari V12, it’s sure to be a hit. Now, for the first time, we get to hear it on the move. And it sounds glorious. The Apollo Automobil YouTube channel just uploaded a short video of the IE testing at the Cremona circuit in Northern Italy. The clip isn’t the highest quality, but that’s not what’s important. What really matters is the sound. According to the video, the testing shown was done below 4000 RPM at light throttle. Even so, the car sounds incredible. For context, that V12 engine is sourced from the Ferrari F12 Berlinetta, and has a redline of 9000 rpm. If it sounds this good just cruising around, we can’t wait to hear it at full tilt.